The premise of Killing Evea cat-and-mouse chase between an MI5 agent and a professional assassincouldve easily worn out its welcome when it first debuted on BBC America in 2018. But thanks to sharp writing, witty dialogue, a killer cast, and electrifying chemistry between its two leads, it proved a refreshing thrill ride. Killing Eve season 2 builds on that momentum as it pushes its characters into uncharted territory, driven by their fascination and obsession with each other. Ahead of season 2, Killing Eve had two major hurdles to overcome. The shows first season was both a commercial and critical success for BBC America, its first major hit (for an original series) since Orphan Black. This left some big shoes to fill:Killing Eves ratings actually grew with each new episode and it got a season 2 renewal before the show even premiered. Season 2 would also have a new showrunner: Emerald Fennell would take over for Phoebe Waller-Bridge (Fleabag, Crashing), whose fingerprints are all over Killing Eves first season and whostayed onas a producer this season. The departure of Waller-Bridge and the first season’s overwhelming success promptedtrepidation in some fans and critics aboutseason 2. Fortunately, Killing Eve manages to sidestep many of those concerns. In the two episodes made available to critics, Killing Eveseason 2pushes the story in new directions while also returning to more familiar territory. 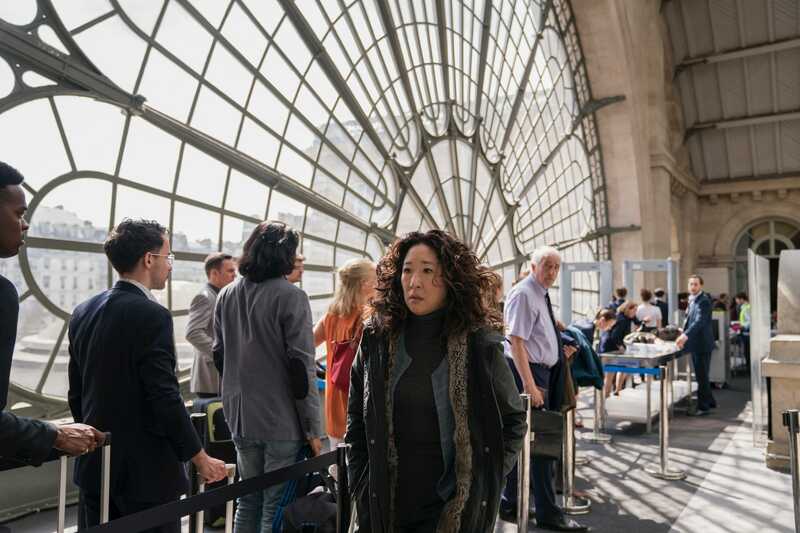 For one, it doesnt shy away from the fact that the cat-and-mouse chase between Eve Polastri (Sandra Oh) and Villanelle (Jodie Comer) that culminated in Villanelles Paris apartment last season ended in bloodshed, or that it fundamentally changed them both. Instead, season 2 embraces it and throws viewers into the thick of the action, beginning just 30 seconds after season 1 ended. Its dark and funny, sometimes at the same time, and instantly addictive. 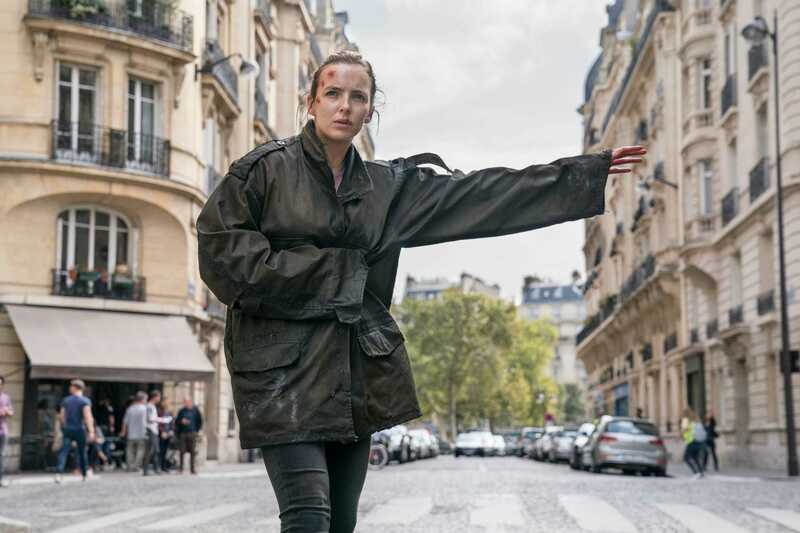 Without much dialogue, Killing Eve conveys just how much stabbing Villanelle has shaken Eve to the core.Her panic over the possibility of killing Villanelle is palpable. A long shot creeps slowly over Villanelles apartment as Eve tries to leave the building without the men tasked to make Villanelle (and her fabulous wardrobe) disappear.Although Eve has made ethically questionable decisions before, shes out of sorts in a way weve yet to see, and its astounding to watch Oh toe that line. Eve slips up more than once, makes rookie mistakes, and at times is a shadow of herself; maybe murdering someone for the first time does that to you. But when the opportunity to once more follow Villanelles breadcrumbs from her former boss Carolyn (Fiona Shaw) presents itself, Eve pounces. Meanwhile, Villanelle is forced to rely on others for her own survival in a way she never had to do with her handlers. Shes resourceful, too: She finds a bottle of liquor to pour on her stab wound, resorts to a painful and clever way to get medical treatment, and uses her acting abilities to her advantage more than once, showing yet again how much of a chameleon Comer is in the role. But it leaves Villanelle vulnerable in new ways, as she not only has to appease authority figures, but also entertain and keep the egos of fragile men in check. Villanelle has changed, too. Shes empathetic in a way we never saw in season 1, and although Eves attack might have felt like a betrayal at first, it gives Villanelle a greater understanding of the woman whos captivated her mind and sexual fantasies. I know her better now, Villanelle tells another character. I know her better than anyone. Better than she knows herself. Despite what happened in Paris, both Eve and Villanelle remain drawn to one another. Neither of them will say much about what happened in Paris; Eve only reveals the truth to one person, preferring to keep others out of the loop through bald-faced lies and other diversions. Theyre highly protective of one another, both almost prideful in a way we rarely get to see in female TV characters. But the show wisely doesnt punch down at them for it. As Eve provides expertise on Villanelle to a new group of agents and Villanelle moves beyond Paris, both women always feel each other’s presence. Eve and Villanelle are already such a massive part of each others lives, both in body and mind, that its easy to forget Oh and Comer only shared a handful of scenes in season 1. Sometimes, when you love someone, you will do crazy things, Villanelle says in the Killing Eveseason 2 premiere. Now that theyve both had a taste of each other, they may go to even greater, crazier lengths to capture each others attention and chase that high again. Killing Eveseason 2 premieres on April 7 onBBC America and AMC.